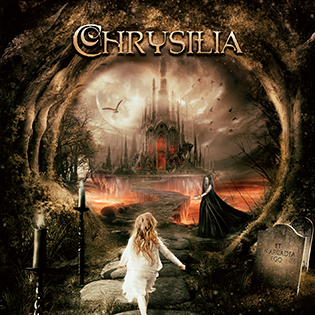 Lion Music are proud to announce the signing of folk symphonic metal band Chrysilia! Look out for their amazing debut album “Et In Arcadia Ego” on October 12 2017! The new “Et In Arcadia Ego” album was recorded and produced by Firewind's Bob Katsionis at Sound Symmetry Studio. 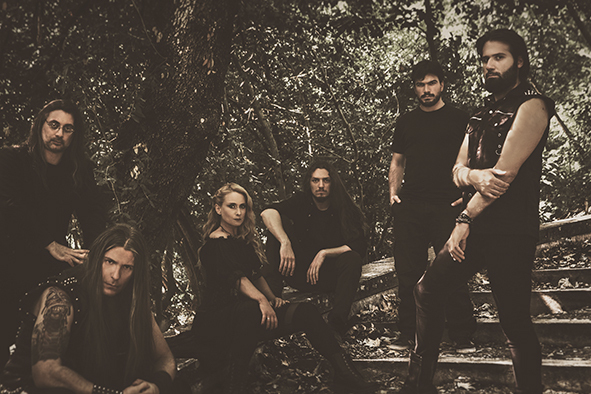 Chrysilia is a soundtrack/symphonic/folk metal band based in Athens, Greece. Initially a concept child by musical actress & rock performer Chryso and composer/keyboardist Elias Pero (ex-Sovereign), this quickly evolved to the formation of a band consisting of ambitious, as well as experienced members. Chrysilia has evolved in recent years from a concept to a band with a full album, ready to demonstrate their work live. Producer Bob Katsionis (Firewind, Serious Black, Outloud) has played a pivotal role in this. He believed in this elegant but also dynamic amalgam of folk, soundtrack & metal and gave life to Chrysilia’s compositions, and he also composed one of the album’s songs. Our music could be vaguely described as soundtrack metal, having influences from different music genres, ranging from folk, jazz and musicals to power metal. The main theme here is having clean-cut, catchy tunes, no matter how heavy or complicated is the musical background. It’s like listening to a motion picture soundtrack, but on the hard n’ heavy side. Lyrically, this is a concept album based on the idea of Arcadia, as this was depicted in the Renaissance as the dreamland that our souls travel in the afterlife or just by achieving a higher state of intuitive enlightenment. Our album however has a metaphorical meaning. It is a journey in time and fantasy, myths and reality, fairytales and politics, life and death itself, through the eyes of a girl growing up: her name is...Chrysilia. It IS difficult! Ayreon or Avantasia probably, due to the metal core, but musicalistic/operatic nature. 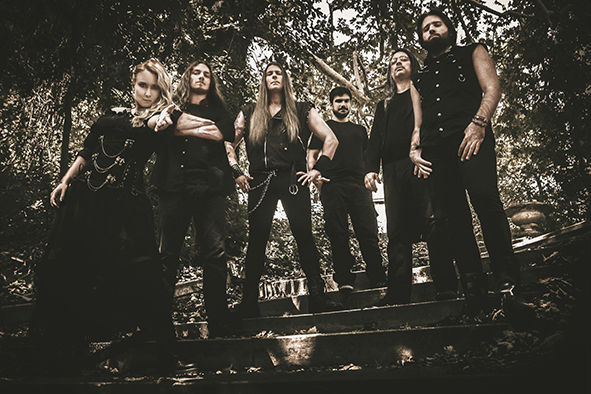 Taking into account that it all started with co-composer’s Elias Pero’s compositions from the ‘90s epic power metal band “Sovereign”, this has gone down a long road reaching diversity and a modern sound, always respecting the roots of rock and metal. The truth is that there was no goal, other than expressing ourselves, no matter how cliché this might sound. These are impossible times for musicians and labels, the only way to see it was to put our inspiration on notes and words. With a heavy/power center, we would never be able to deny our influences from Hans Zimmer and Andrew Lloyd Webber to European prog/power metal, all having in common melodies that one can easily identify with. Arcadia, a magical place that actually exists in mountainous Greek mainland, was the main influence of our lyrics, although a few songs are inspired by more personal stories, but always within the context of the album. About 12 months, although it would have been shorter without all the real choirs and physical instruments! Under the guidance of our Producer, Bob Katsionis, and the original inspiration of co-composers, Chryso and Elias Pero, every single member of the band put their musical personality in the final result.